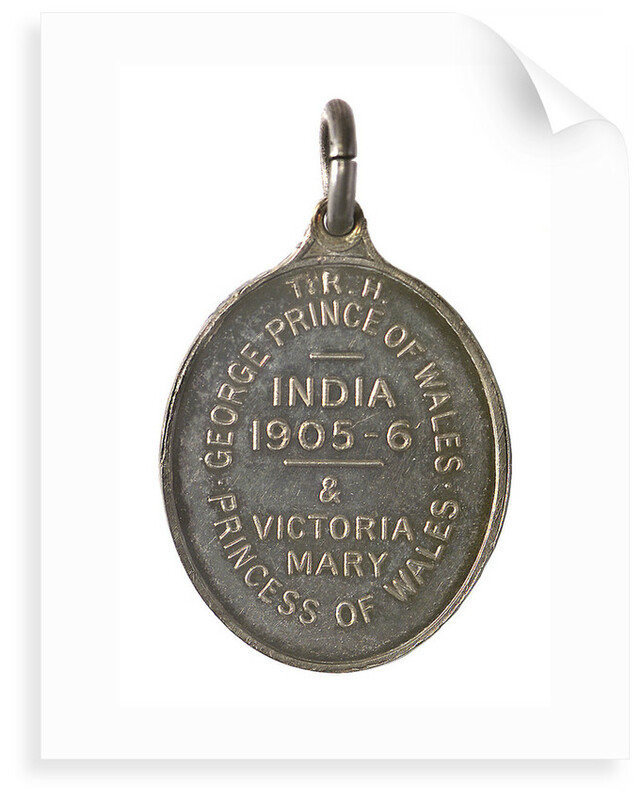 Medal commemorating the visit of the Prince and Princess of Wales to India, 1905-1906; reverse posters & prints by Elkington & Co. Ltd.
Medal commemorating the visit of the Prince and Princess of Wales to India, 1905-06. 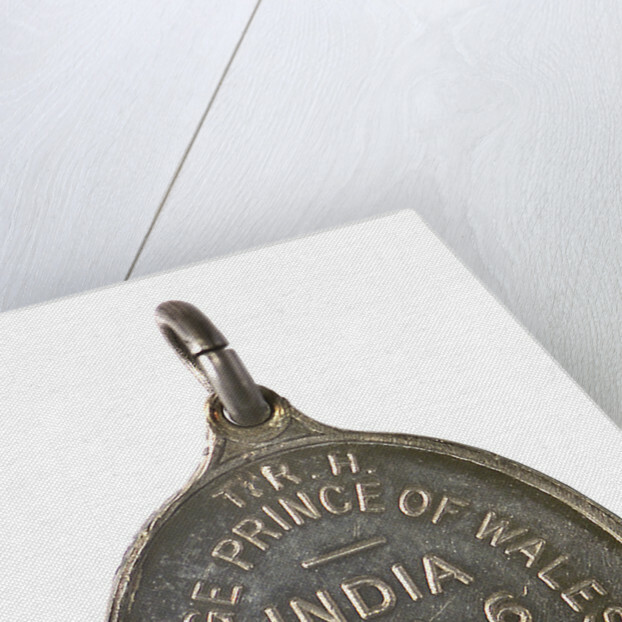 Obverse: Prince of Wales feathers within a garter, inscription with Royal motto and the collar of the Order of the Star of India. Surmounted by a crown. Initials of Prince and Princess on each side. Motto: 'HONI SOIT QUI MALY PENSE'. Initials: 'G M.' Reverse: Legend and inscription: 'T. 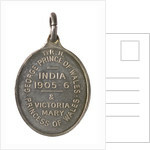 R. H. GEORGE PRINCE OF WALES INDIA 1905 - 6 ; VICTORIA MARY.' 'PRINCESS OF WALES.' 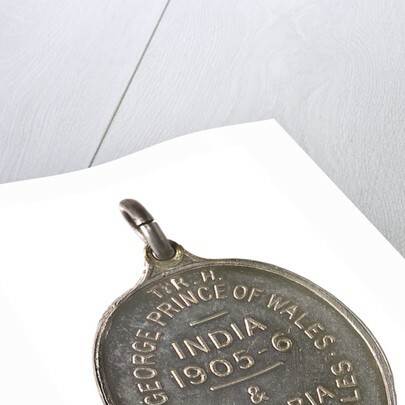 Small silver oval medallion with loop and suspension ring. In original red cardboard box of issue, stamped in gold with Prince of Wales feathers.